NHC has issued a special advisory regarding extremely dangerous Hurricane Irma. Reports from NOAA and U.S. Air Force Hurricane Hunter aircraft indicate Irma continues to strengthen and maximum sustained winds have increased to near 175 mph (280 km/h) with higher gusts – an extremely dangerous Category 5 hurricane on the Saffir-Simpson Hurricane Wind Scale. Some fluctuations in intensity are likely during the next day or two, but Irma is forecast to remain a powerful category 4 or 5 hurricane during the next couple of days. 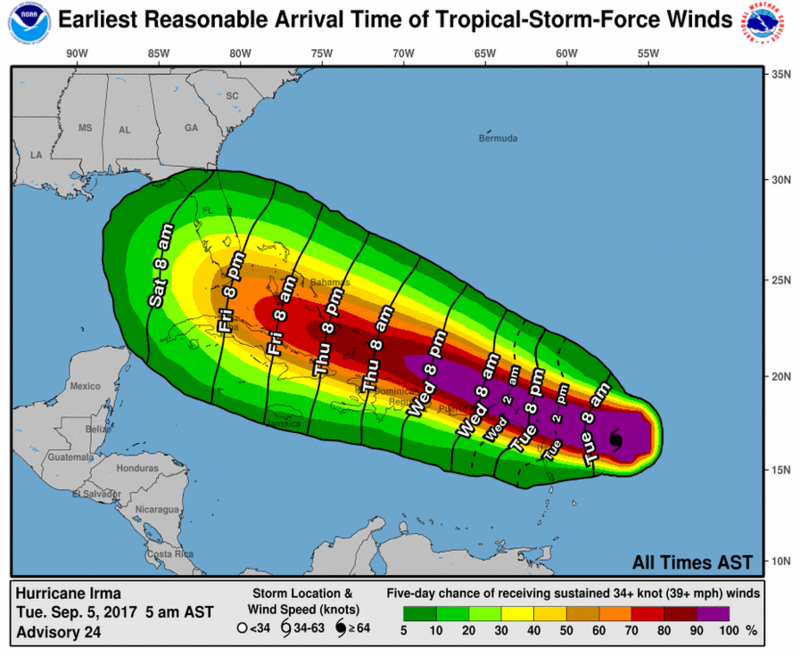 Hurricane-force winds extend outward up to 45 miles (75 km) from the center and tropical-storm-force winds extend outward up to 140 miles (220 km). 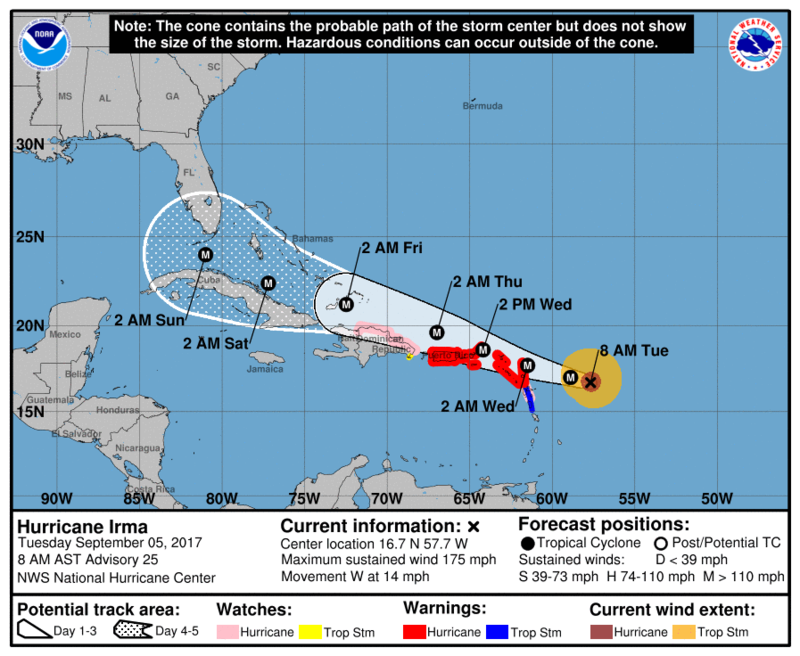 Irma is centered as of 8 a.m. AST/EDT about 270 miles (440 km) east of Antigua, moving toward the west near 14 mph (22 km/h), and this general motion is expected to continue today, followed by a turn toward the west-northwest tonight. On the forecast track, the dangerous core of Irma will move near or over portions of the northern Leeward Islands tonight and early Wednesday. and Dominica. A Tropical Storm Watch is in effect for the Dominican Republic from south of Cabo Engao to Isla Saona.